One or more photo(s) has been virtually staged. NEW PRICE ADJUSTMENT!!!! 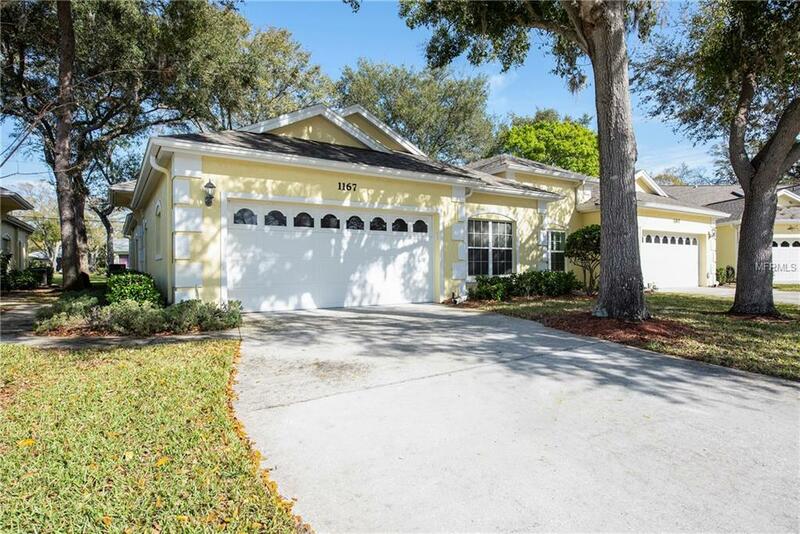 Meticulously maintained 3/2/2 Villa built in 1995 is centrally located in Palm Harbor. The spacious Living/Dining area is open and bright with vaulted ceilings, plant shelves and new laminate flooring. French doors open onto a vinyl enclosed patio with plenty of space for outdoor furniture. The kitchen was updated with new cabinetry and solid surface counter tops, all matching appliances, pantry, breakfast bar and skylight. The inside laundry room is conveniently located inside and off the kitchen. Spacious master bedroom has french doors leading to enclosed patio, vaulted ceilings, two closets (one is a walk-in) & private bath. Two additional guest bedrooms complete this cozy unit with a guest bath. ROOF IS ONLY 2 YEARS OLD!!! Queen Anne Gate is a hidden gem that offers: LOW HOA FEES, community pool, exterior paint, basic Cable TV, lawn care, trash and sewer. Enjoy maintenance-free lifestyle living! This is NOT 55+ and not many units go on the market in this community! Lovely and quiet neighborhood, schedule your showing today! Additional Lease Restrictions Limit On The Number Of Units That Can Be Rented. Confirm Lease Restrictions And Tenant Approval With Hoa 727-796-1996. Pet Restrictions Confirm Pet Restrictions And Weight With Hoa 45Lbs Weight Limit.